At Vinson Dental, we offer a variety of procedures to our patients. 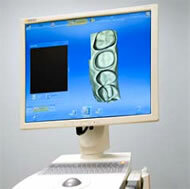 Most procedures only require 1-2 short visits and can be done right in the office. Take a look at the links below to learn more about each procedure. If you have any questions, be sure to ask Dr. Vinson on your next visit or contact our front office staff. Please refer to our comprehensive list of Procedures for the services that are available to you. We think it’s incredibly important for our patients to be knowledgeable about their oral health, which is why we have created a patient education section. This page provides you with valuable information about the importance of taking care of your teeth and how to do so properly. It can help answer common questions that most people have about their oral health as well. This page also includes information regarding your payment options.